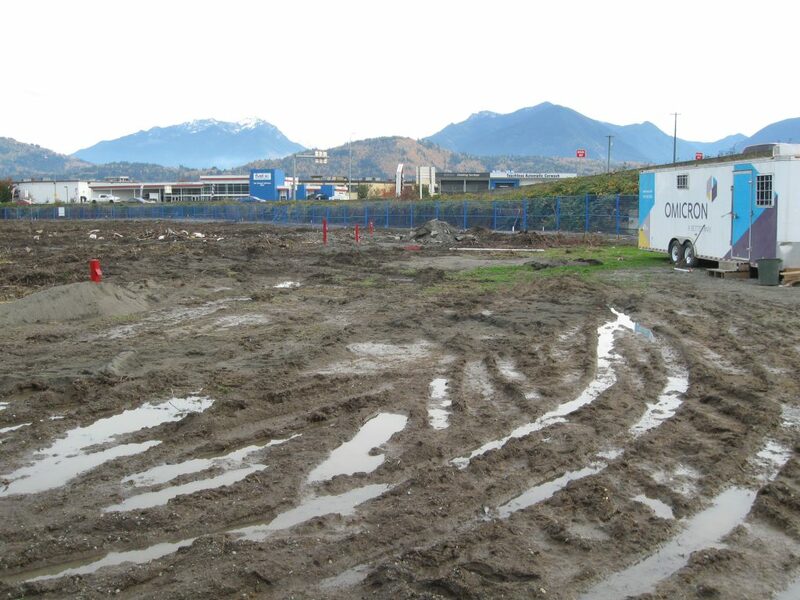 Chilliwack -FEBRUARY 17 UPDATE – The resent snow and ice have not slowed down the site preparation for the new Molson Coors brewery in Chilliwack. 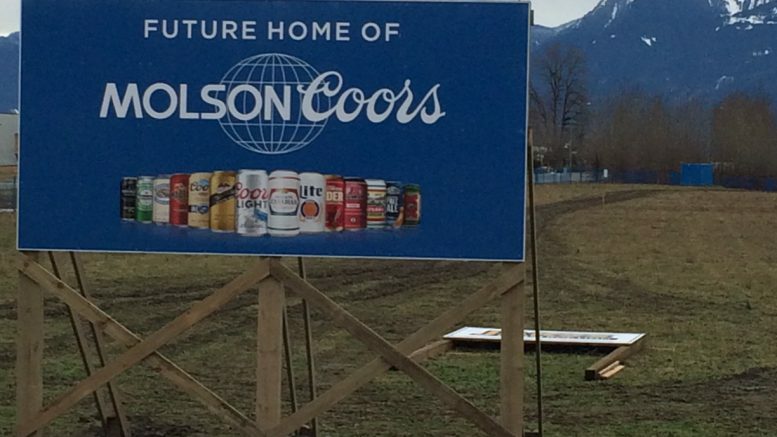 John Stewart from Molson Coors told FVN they are still on schedule with another major announcement regarding construction coming in April. 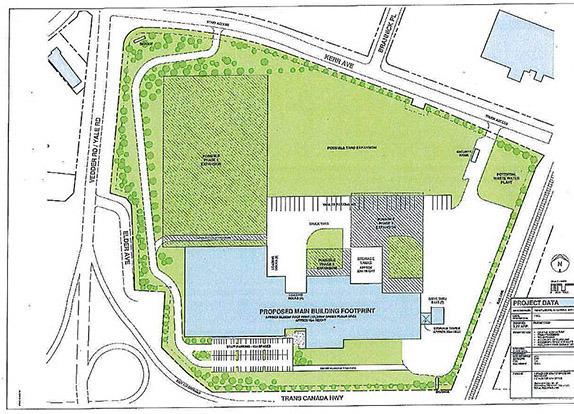 The first phase of construction will be for a 21,300-square-metre facility for processing, packaging, warehousing, offices, staff amenities and more. Completion should remain on target for late 2018 or 2019. JANUARY 2017 UPDATE – While site preparation continues on the site of the new Molson Coors brewery, the welcome mat has been pout out along Yale Road by the Highway One overpass. 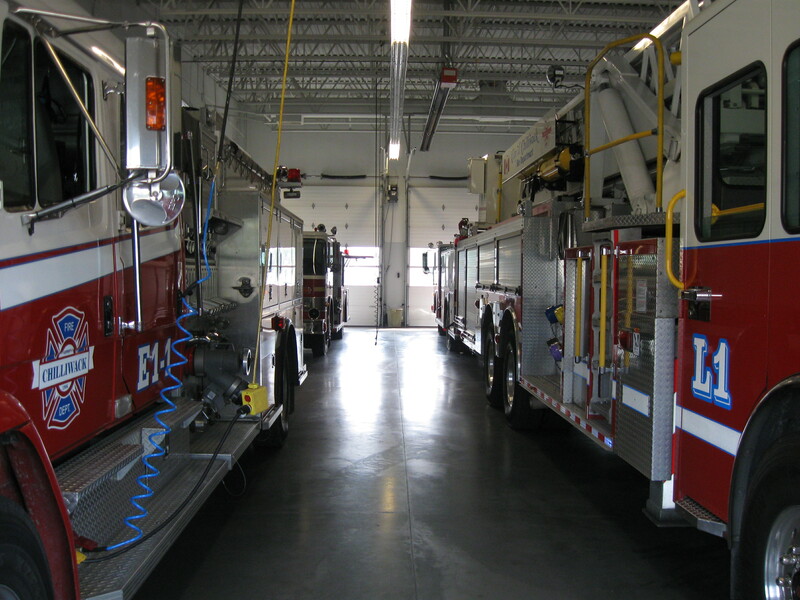 CEPCO’s John Janzen told FVN that while most of the construction will be status quo, one of the challenges will be the huge vats that house the brew in the beer making process. They are too big to be transported down Highway One and will have to be towed on a barge, up the Fraser River from the Vancouver docks (they will be made in Germany) and transported through the city streets and eventually to the new site. 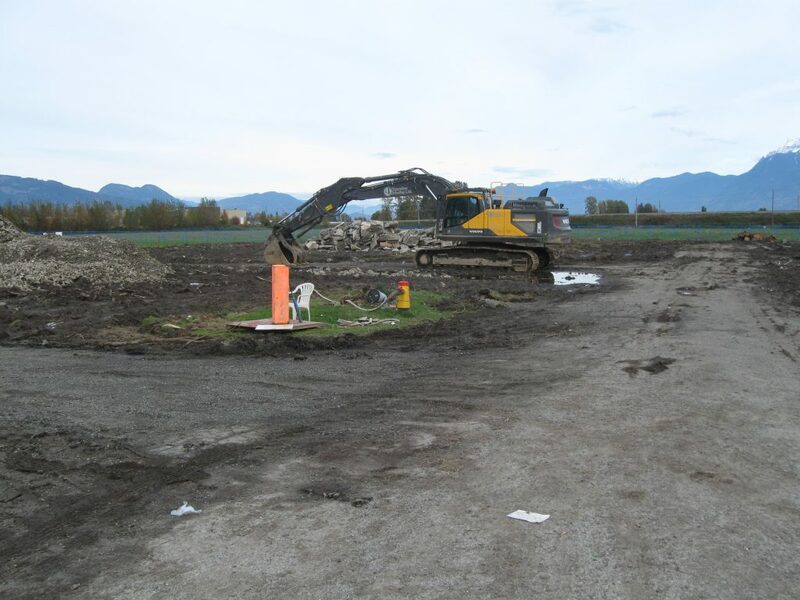 OCTOBER 2016 UPDATE – The Chilliwack site for the new Molson Coors brewery is taking shape. 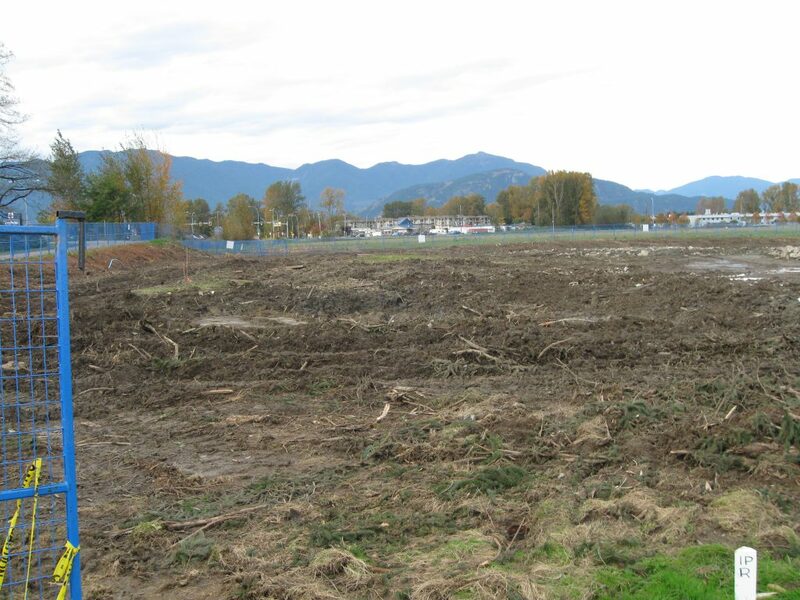 Now that much of the brush has been cleared, it will be easy to watch the progression of the site clearing and initial site preparation from Yale Road, North of Highway One between Elder and Kerr Avenue. The brewery itself should be operational in late 2018 or early 2019. 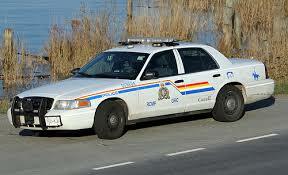 The existing Burrard site in Vancouver will eventually be torn down for residential construction projects. Vice-President of Corporate Affairs at Molson Coors Gavin Thompson says it’s too early to estimate the number of people who will be working at the brewery, but the construction phase should employ about 1,000 people. 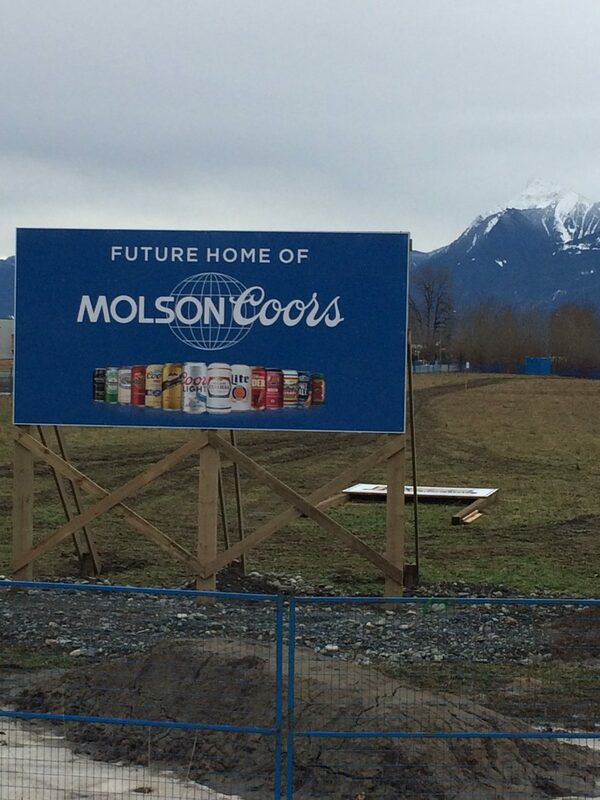 Be the first to comment on "Molson Coors Chilliwack Site – Starting To Take Shape"